I use 1/2 gal glass mason jars for storing green beans. They're airtight, only about $1-2 / jar by the flat of 6 and the lid (disk) is cheap and easy to find when you need to replace the seals. IIRC each jar holds about 2.5-3 lbs of beans, which is a bit much for your current 1lb samplers, but will be good if you start buying in larger 5# bags. Keep them in a cool, dark cabinet and they'll be fine for months. When you go to buy beans, IMO, don't buy more than you can use in 3-4 months (or less), and only roast what you can drink in 4-6 days. Congrats! Many good cups to come for you! I love to be able to throw this up! I have been roasting coffee a 1/4 pound at a time and trying to get a feel for what I'm supposed to be doing. At this point, I'm still trying to figure out when first crack ends and second crack begins. I did find an app for my ipad called Roastmaster that allows me to keep track of what I have done with each roast, the excel spreadsheet just wasn't going to cut it. First to second crack will usually change depending upon how much you're roasting. I did a 12oz batch last night and had about 1:30-1:45 between first and second crack. Sometimes though, the bean will dictate that. I had an Indonesain that would go right from first into second. Frustrating. My Behmor finally died after about 5 years and I also got the new plus. I could have replaced the board and motor, but it was pretty banged up and I figured it more than served its purpose, and I wanted a shiny new Plus. I haven't messed around with the manual adjustments and still use the preset roast profiles. As far as first crack ending, as soon as you hear the first pops, you can hit "C" on the control panel, and a timer will give you a pretty close idea when the first crack will end. After 5 years of using my first Behmor, I was pleased when I got my new roaster a week ago. Although the Plus is still the same toaster oven style, there are some nice improvements. The ability to manually control the roast profile, temp readings, and drum speed definitely give the roaster a nice upgrade. I notice the matte black finish and side fittings seem a little better thought out for the long haul and the fan and afterburner seem more efficient, at least to me. 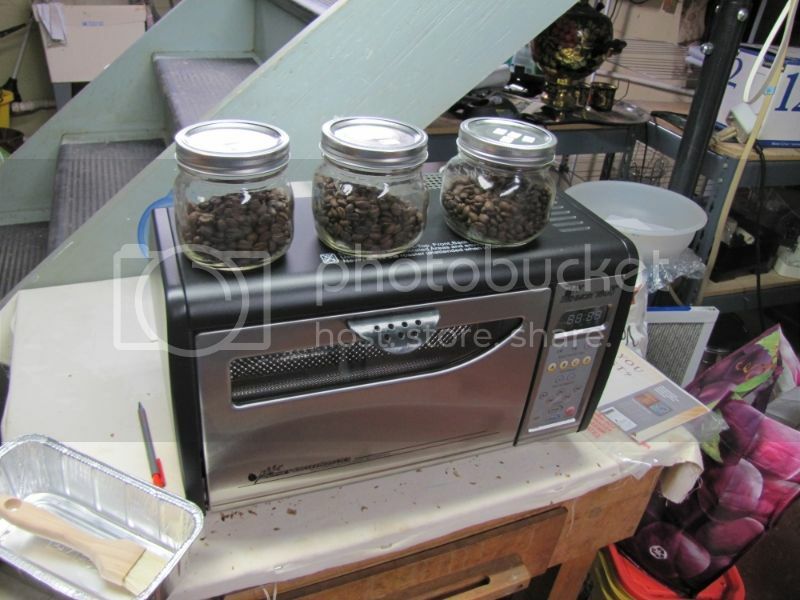 I think the most important thing you can do with a Behmor is follow the cleaning instructions carefully and make sure to do a dry roast and Simple Green cleaning every 4-5 roasts. Besides the board and motor, which are pretty easy to replace, they are pretty basic. I picked mine up from Roastmasters, and with a really nice 8lb green bean sampler, I feel like it was a good deal for $350 shipped. Also, for storing roasted beans, I love Sweet Maria's metal containers with the pressure valve on the bottom and use them exclusively. Did my first dry roast and cleaning yesterday and ordered two of low cost metal containers with valves in them from Sweet Maria's last week. 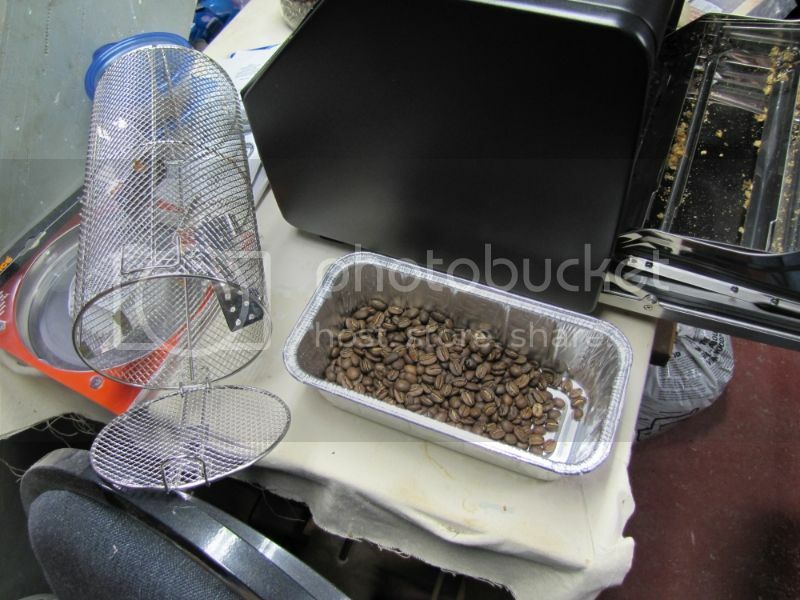 I have been roasting 1/2 pound batches using the P4 and D as my settings and adding or substracting time as needed. I like a darker roast and these settings have worked well for me to get to a Full City level.